Corizon provides quality healthcare services at more than 200 correctional facilities across the country serving approximately 350,000 inmates in 29 states. With its corporate headquarters in Brentwood, Tennessee, Corizon is the leading provider of correctional healthcare services in the United States. Correctional Care | Committed Careers | Corizon Health We have exceptional opportunities for a Licensed Mental Health Professional (LPC, LCSW) to join our healthcare team at Women's Therapeutic Residential Center located in Henning, TN. The qualified candidate must me at a Master's level and be licensed in the state of TN in order to be considered for this position . Hours: Days The Licensed Mental Health Professional will have experience in providing social work services at an inpatient mental health facility. Qualifications of the Corizon Health Licensed Mental Health Professional Licensed in state of employment as either a Clinical Social Worker (LCSW), Professional Counselor (LPC) or a Psychological Examiner (LPE) At least 2 years of experience in providing social work services in an inpatient psychiatric facility. Possess good interpersonal communication skills. Able to effectively interact with institutional staff, medical staff, and outside agencies. Responsibilities of the Corizon Health Licensed Mental Health Professional Provision of full range social work services to assigned patients to include psycho-social assessment, group, family, and individual therapy, discharge planning and all services to be documented in patient's medical record. Participation in treatment team activities on assigned unit to include development and periodic review of patient treatment record. Provision of crisis intervention services upon staff or patient self-referral Coordination of aftercare planning for patients appropriate for discharge from the facility. Participation in unit morning report Preparation of reports and records as requested. Benefits offered to the Corizon Health Licensed Mental Health Professional Paid Time Off Medical, Dental and Vision Insurance Tuition Assistance 401(k) with company match Free online Continuing Education program Comprehensive Onboarding Apply online or contact Carolyn Coney-Johnson at 615-660-6814 for more information. Corizon Health provides patients with high quality healthcare and reentry services that will reduce recidivism and better the communities where we live and work. We are dedicated to meeting the needs of the growing number of incarcerated persons with physical and mental illness and the professionals who care for them. More healthcare professionals are finding the stability and advancement they desire at Corizon Health. This position may require a background check, security clearance, and/or drug screening. 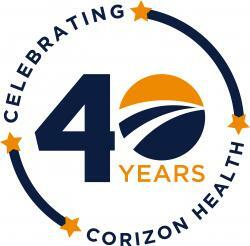 Corizon Health is an Equal Opportunity Employer. In compliance with federal and state employment opportunity laws, qualified applicants are considered for all positions without regard to race, gender, national origin, religion, age, sexual orientation, disability, Vietnam era veteran, or disabled Veteran status. Correctional Care | Committed Careers | Corizon Health We have an exceptional opportunity for a full time Licensed Alcohol and Drug Abuse Counselor (LADAC) to join our healthcare team at West Tennessee State Prison located in Henning, TN. Available hours: 8am-4pm Qualifications of the Corizon Health Licensed Alcohol and Drug Abuse Counselor (LADAC) High School diploma required; Bachelor's degree preferred. Licensed in Tennessee as an Alcohol and Drug Abuse Counselor (LADAC), Professional Counselor (LPC), or Clinical Social Worker (LCSW) with a background in substance abuse required. Experience in providing services within a correctional setting preferred. Responsibilities of the Corizon Health Licensed Alcohol and Drug Abuse Counselor (LADAC) Provides direct clinical services to the patients of the Substance Abuse Treatment program as a primary counselor. As primary counselor, completes in a timely manner: Initial Assessment Group and individual counseling Discharge summaries Conducts psycho-educational modules for program participants Evaluates patients referred for substance abuse treatment services to determine the appropriate level of treatment and agency to provide required services. Documents patient evaluation or program participation in accordance with program procedures. Benefits offered to a Corizon Health Licensed Alcohol and Drug Abuse Counselor (LADAC) Paid Time Off Medical, Dental and Vision Insurance Tuition Assistance 401(k) with company match Free online Continuing Education program Comprehensive Onboarding Apply online or contact Carolyn Coney-Johnson at 615-660-6814 for more information. Corizon Health provides patients with high quality healthcare and reentry services that will reduce recidivism and better the communities where we live and work. We are dedicated to meeting the needs of the growing number of incarcerated persons with physical and mental illness and the professionals who care for them. More healthcare professionals are finding the stability and advancement they desire at Corizon Health. This position may require a background check, security clearance, and/or drug screening. Corizon Health is an Equal Opportunity Employer. In compliance with federal and state employment opportunity laws, qualified applicants are considered for all positions without regard to race, gender, national origin, religion, age, sexual orientation, disability, Vietnam era veteran, or disabled Veteran status. Correctional Care | Committed Careers | Corizon Health We have an exceptional opportunity for a Masters Behavioral Science Counselor to join our healthcare team at the Bledsoe County Correctional Complex located in Pikeville, TN. Qualifications of a Corizon Health Masters Behavioral Science Counselor Graduation from a Master’s level program in mental health field. Minimum of two years employment in a social work capacity in a public or private agency or equivalent. Must receive a satisfactory background investigation report. Responsibilities of a Corizon Health Masters Behavioral Science Counselor Masters Behavioral Science Counselors will be involved in working with all disciplines in the Mental Health Unit to attain effectiveness in serving the patient population. Performs individual and group therapeutic interventions as appropriate. Performs administrative consultations for specialized social services as determined by the specific needs of the Institution. Perform specific psychiatric social service work on the Mental Health Unit of a Correctional Facility. Assists in planning and implementing the goals and objectives of programs and projects. May direct special projects as requested. Participates in and conducts in-service programs, as well as assists in the orientation of new staff. Provides the necessary preparation of documentation, necessary records and reports. Benefits offered to Masters Behavioral Science Counselor Paid Time Off Medical, Dental and Vision Insurance Tuition Assistance 401(k) with company match Free online Continuing Education program Comprehensive Onboarding Apply online or contact Carolyn Coney-Johnson at 615.660.6814 for more information. Corizon Health provides patients with high quality healthcare and reentry services that will reduce recidivism and better the communities where we live and work. We are dedicated to meeting the needs of the growing number of incarcerated persons with physical and mental illness and the professionals who care for them. More healthcare professionals are finding the stability and advancement they desire at Corizon Health. This position may require a background check, security clearance, and/or drug screening. Corizon Health is an Equal Opportunity Employer. In compliance with federal and state employment opportunity laws, qualified applicants are considered for all positions without regard to race, gender, national origin, religion, age, sexual orientation, disability, Vietnam era veteran, or disabled Veteran status. We have an exceptional opportunity for a full time Masters Behavioral Science Counselor to join our healthcare team Northwest Tennessee Correctional Complex located in Tiptonville, TN. Hours: 8am-4pm Qualifications of a Corizon Health Masters Behavioral Science Counselor Graduation from a Master’s level program in mental health field. Minimum of two years employment in a social work capacity in a public or private agency or equivalent. Must receive a satisfactory background investigation report. Responsibilities of a Corizon Health Masters Behavioral Science Counselor Masters Behavioral Science Counselors will be involved in working with all disciplines in the Mental Health Unit to attain effectiveness in serving the patient population. Performs individual and group therapeutic interventions as appropriate. Performs administrative consultations for specialized social services as determined by the specific needs of the Institution. Perform specific psychiatric social service work on the Mental Health Unit of a Correctional Facility. Assists in planning and implementing the goals and objectives of programs and projects. May direct special projects as requested. Participates in and conducts in-service programs, as well as assists in the orientation of new staff. Provides the necessary preparation of documentation, necessary records and reports. Benefits offered to Masters Behavioral Science Counselor Paid Time Off Medical, Dental and Vision Insurance Tuition Assistance 401(k) with company match Free online Continuing Education program Comprehensive Onboarding For questions contact: Carolyn Coney-Johnson at 615-660-6814 for more information. Corizon Health provides patients with high quality healthcare and reentry services that will reduce recidivism and better the communities where we live and work. We are dedicated to meeting the needs of the growing number of incarcerated persons with physical and mental illness and the professionals who care for them. More healthcare professionals are finding the stability and advancement they desire at Corizon Health. This position may require a background check, security clearance, and/or drug screening. Corizon Health is an Equal Opportunity Employer. In compliance with federal and state employment opportunity laws, qualified applicants are considered for all positions without regard to race, gender, national origin, religion, age, sexual orientation, disability, Vietnam era veteran, or disabled Veteran status.